 Providing a resource to the legal community to locate a New Jersey process server as well as process server education, certification and information for members of NJPPSA. Need a process server? Click here to find a NJPPSA approved process server who adheres to the highest of ethical standards. Receive all the benefits of becoming an NJPPSA member including increased business, referrals, education and certification, important legislative updates and networking opportunities. Check out what's going on in the process service industry, including potential legislation and recaps of past meetings. View our upcoming events! There are no upcoming events at this time.